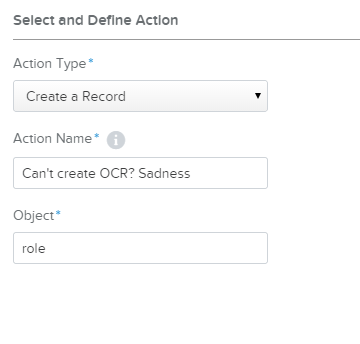 A common request is the ability to automatically create an Opportunity Contact Role record based on the contact that is selected in a custom lookup field. A nonprofit use case is the specific contact who is the primary Solicitor of a gift, who is not a user in the instance. The organization would want this as both a parent record (lookup) as well as a contact role for proper soft credit accounting. So, if you voted for this but haven't voted for that yet...please go vote. I've added a lookup field in the Opportunity that contains a contact, and I thought it would then be easy to add it in the contact roles with Process Builder, but i haven't yet found a way to do that. This is to workaround the fact that it is not possible to validate an opportunity only if it has a contact associated with it. And this is also related to Pardot scoring rules. A worthy idea! We have created an unmanaged package to help you add Opportunity Contact Roles from process builder. It's a basic flow. From a marketing perspective we would want to be able to look up contacts on the account that had a campaign response date (filtered for specific marketing campaigns) before opportunity create and close dates so that these could be added. This would enable Campaign Influence reports to show the total impact of marketing activity on an account. In many cases the final decision makers on the Opportunity may not be the actual contacts that the marketing engagement on that account started with, but without that marketing engagement the opportunity would not have surfaced. You will need to pass the account id from the opportunity into the Flow as a Flow variable so you can add a Record Lookup to the Flow. 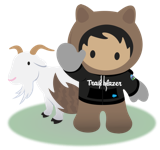 Use the account id variable and the IsPrimary flag in the AccountContactRole table to retrieve the contact id and add it to a contact id Flow variable to use when you create the OCR. Thanks Mike -- Only issue now, is we can't actually do a lookup of our primary contact on the account associated to the opportunity (https://success.salesforce.com/ideaView?id=08730000000BqvBAAS). No idea why salesforce wouldn't allow that functionality. Oops, I meant Jordon Cashion's suggestion. We ended up Jason Cashion's suggestion to get this done, it is very well documented and easy to deploy. His comments are listed below with link to the documentation. Has anyone found a better way to sync opportunities to Pardot since the only way is through contact roles? Or is there some sort of validation rule someone has that doesn't allow the record to be saved without one? Our sales team often forgets and we need to make sure it's not skipped! Please enable Contact Role to be used in the Process Builder. It would help automate parts of the Campaign Influence for our marketing team.